In any industry, there are unscrupulous people who try to defraud companies and individuals – and healthcare fraud is no exception. Medicare and Medicaid fraud is particularly troublesome because this type of healthcare fraud can cost Federal health care programs billions of dollars, while risking the health and welfare of patients at risk. A single person can make a difference. If you work in the healthcare industry, you play a vital role in protecting the integrity of Medicare and Medicaid. Most healthcare fraud and abuse are uncovered and revealed by people who work within the industry, and who observe or suspect abusive practices and civil or criminal activity. When ordinary people become whistleblowers, they help combat fraud and abuse and may even save lives. Using unskilled or unlicensed workers for procedures or services which should be performed only by trained, licensed, or skilled personnel. If you know of a healthcare company or healthcare provider cheating Medicare or Medicaid in any of these or other ways, you may be eligible for a whistleblower reward. 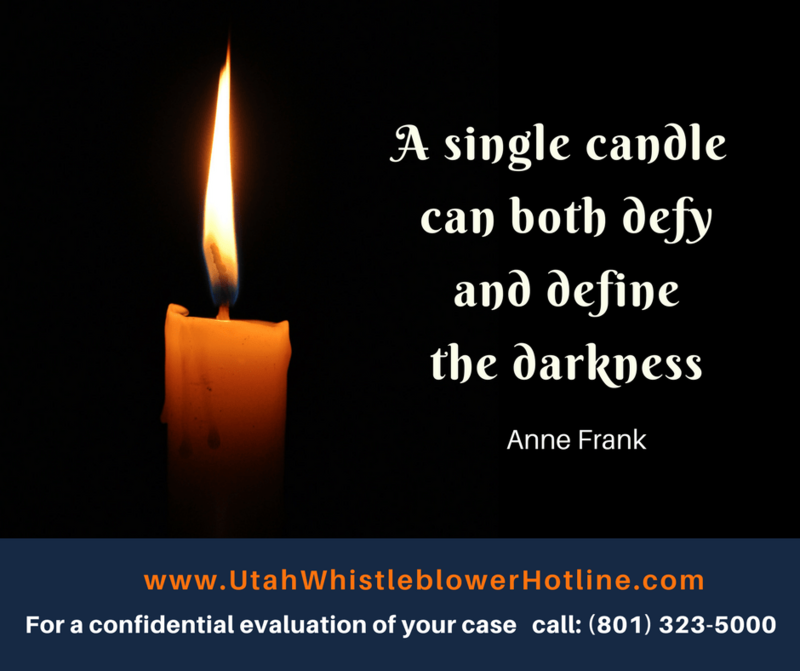 To get a confidential evaluation of your case from an experienced whistleblower attorney, contact our whistleblower hotline by email or by calling (801) 323-500.